Published: March 24, 2019 11:05 Samar Khouri, Special to tabloid! 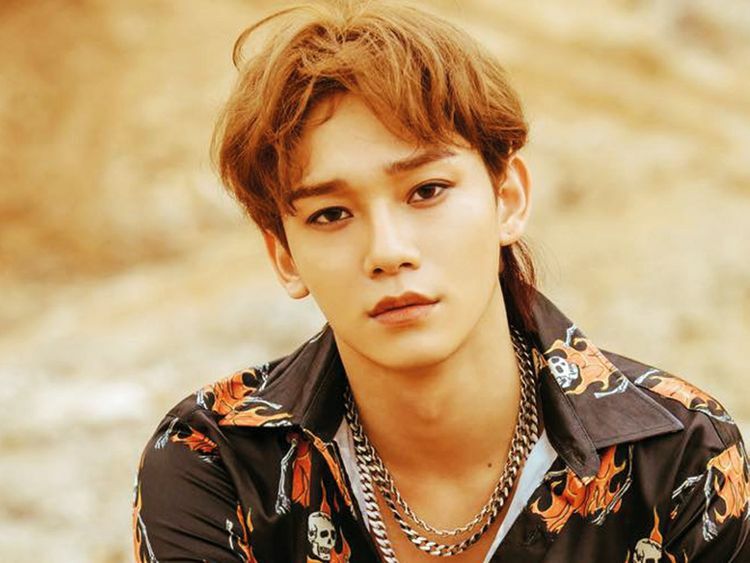 The beginning of April is looking good as Exo’s Chen is all set to begin a career as a soloist for the first time in seven years after debuting with the popular K-Pop boy group. The singer’s much-anticipated mini-album, titled ‘April, and a Flower’, will be released on April 1. It will contain six tracks, including title track ‘Beautiful Goodbye’ and ‘Flower’, co-written by Chen. The vocalist’s cover art gives off some soft, spring vibes, putting us in the mood for the season. The mini-album will showcase not only his songwriting ability but also his warm and soothing vocals. Ahead of his album and music video release date, Chen will be dropping a series of teaser images, highlight medleys and a music video teaser. He recently launched his own YouTube channel named ‘Chen’ on March 13. To date, he has more than 730,000 subscribers. In his first video, he covered singer Yang Da Il’s ‘Sorry’. Born as Kim Jong-dae, Chen has been part of K-Pop group Exo since 2012 and a member of the band’s subunit Exo-CBX alongside Baekhyun and Xiumin. Chen has worked as a solo artist for soundtracks for TV shows such as ‘100 Days My Prince’, ‘Missing 9 ‘and ‘Touch Your Heart’. A few days after he drops his solo material, Exo-CBX is scheduled to go on a Japanese tour, ‘Exo-CBX Magical Circus Tour 2019 — Special Edition’, on April 16 and 17 in Saitama and April 27 and 29 in Kobe.